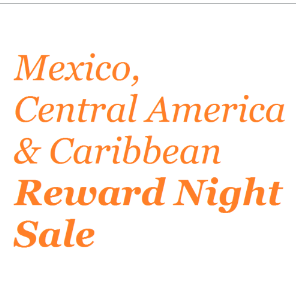 From flash sales to 50% off offers, IHG Rewards Club has spent the better part of this past year offering up some great discounted reward night redemption options for the membership base. The latest will go live this coming Monday August 18th and is for stays at 12 of their locations in Mexico, Central America & Caribbean. The 50% off offer on the number of points required will be bookable until September 6 and is good for stays between September 1st and October 31st. Can't make use of this offer? Be sure to visit our IHG Rewards Club Bonus Points page for many more offers!